In his excellent and thought-provoking book, Perception and Knowledge, Walter Hopp offers his readers a tour de force, tackling a range of central topics in epistemology and the philosophy of perception. Although his views and arguments are often heavily inspired by Husserl, Hopp’s agenda is systematic rather than exegetic. In Chap. 6 of the book, Hopp criticizes some prominent versions of the disjunctive theory of perceptual experience and offers his own “moderate disjunctivism” as an alternative.1In this paper, I raise some critical questions vis-à-vis some of Hopp’s objections to supposedly less moderate versions of disjunctivism. In particular, I suggest that Hopp distances himself from certain ideas that are absolutely central to standard motivations for disjunctivism, thereby leaving his own adoption of disjunctivism insufficiently motivated. With one or two exceptions, I shall not discuss how Hopp’s views relate to those of Husserl. Overgaard, S. (2013). Motivating disjunctivism. 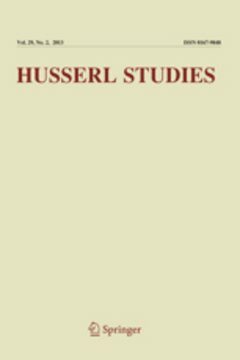 Husserl Studies 29 (1), pp. 51-63.